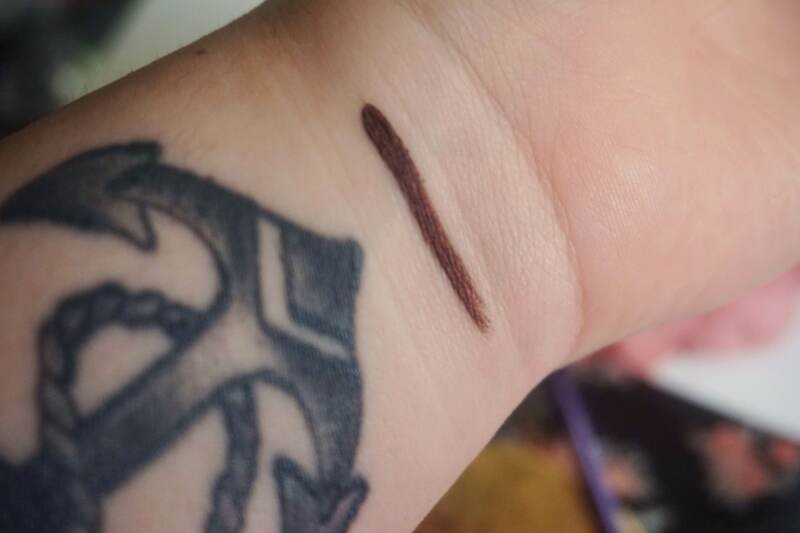 Today I want to share with you all something I’ve been obsessed with doing lately, and that’s turning my loose eyeshadows into eyeliners! Colorful and different liners are trending at the moment, but not everyone has money to drop on a plethora of different Anastasia waterproof creams and liners. So, I’m going to show you how I create a few neat liners for very cheap. The price of the spray, brush, and BOTH shadows cost less than one high end cream liner. Okay, now that I hope have your attention, I’m going to prove just how simple this makeup trick really is. There are mixing mediums that you can buy from Inglot and MAC that are “made” for this job, but I personally use a setting spray. 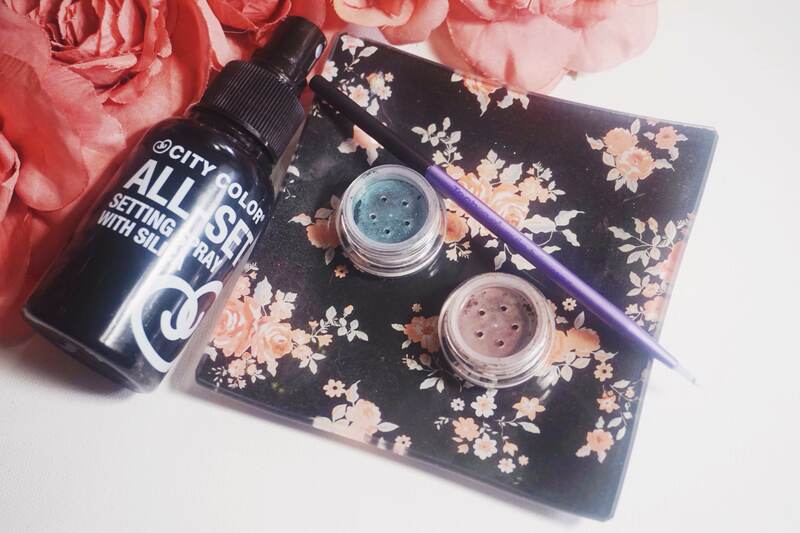 I don’t like the City Color All Set Setting Spray on my face, so I’ve been using it for creating liners. It works well, in my opinion. I found this setting spray at my local Five Below for $3. I take my cute little mixing palette (it’s actually just a gold coaster from Target, nothing fancy) and spray a bit of setting spray on the palette. Then, I take a bit of loose shadow and gently scoop it on top of the setting spray. I will start small with the shadow and mix it up with my liner brush (Real Techniques $5.99) and keep gradually adding both setting spray and shadow until my desired pigmentation is achieved. That’s the cool thing about making your own liner, you can go soft or go intense. Because these are shadows, they’re not going to be completely waterproof, but this is fun to do when you want a fun pop of color on your eyes. Personally, I don’t experience much fading/creasing when using these shadows as liners and using setting spray, but results may vary based on your eye shape and skin type. My eyes are fairly large and my skin is dry. Meaning, everything sticks to me and I generally don’t experience smudging with liner on my upper lash line. However, for the price to buy everything you would need, you can’t go wrong. And if doesn’t go well, you still have two gorgeous shadows instead of two cream liners sitting around and drying up in a drawer. I love finding new ways to use makeup! 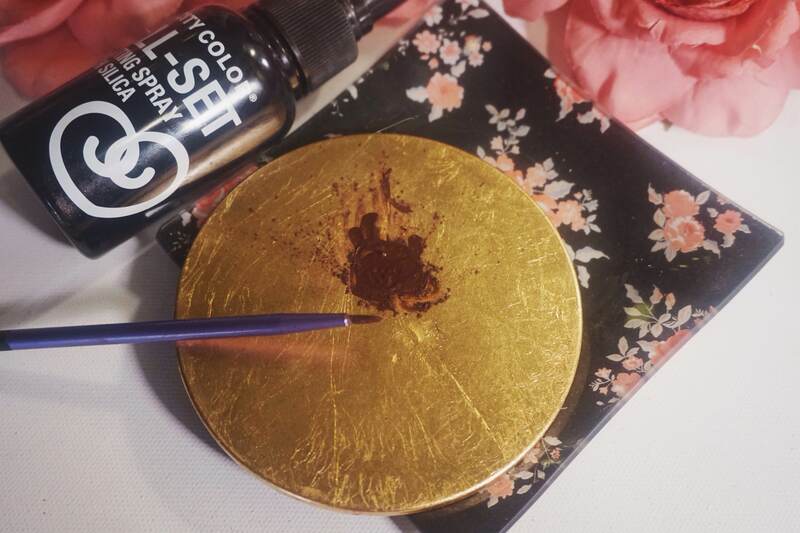 What are some of your favorite alternative ways to your favorite products? Comment and tell me about it! I hope you all enjoyed this quick tip or found it helpful in some way.